“The most important period of Brazilian colonial music production began in 1808 with the Portuguese royal family's arrival in Rio de Janeiro. This caused a ripple effect of urban sophistication in the city as it became the capital of an overseas empire. Prince Regent João VI, future king of Portugal, founded the National Library, the São João Opera Theater, and the Royal Chapel of Music. “The Mass on this recording was composed in 1810, at which time the Royal Chapel had more than one hundred musicians comprising renowned Brazilian and Portuguese singers and instrumentalists, as well as Italian castrati. 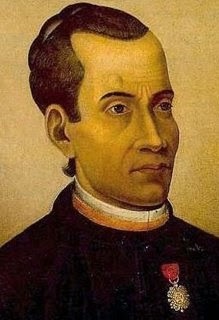 This group was conducted by José Mauricio Nunes Garcia (1767-1830) from 1808 to 1811 and then by the famous Portuguese composer Marcos Portugal, who arrived towards the end of Nunes Garcia's term as conductor. A deep transformation in the musical language of Brazilian composers, such as Nunes Garcia, caused a 'modernization' to occur in their compositions. By the time of his tenure at the Royal Chapel, Nunes Garcia's music was strongly influenced by Italian opera from the beginning of the 19th century, whose iconic composers included Paisiello and Cimarosa. Nunes Garcia's music was also tied to the musical life of Portugal through the compositions of Marcos Portugal and Antonio Leal Moreira, both well-known composers in Brazil. “The most emblematic, creative, and important work of this period is the Missa de Sonhora da Conceição (Mass of Our Lady of Conception) 1810, C.P.M. 106 (Portuguese abbreviation for Cleofe Person de Mattos's catalog of Nunes Garcia's works). Nunes Garcia put into practice all the techniques and coloristic possibilities of the orchestra he conducted. He also explored all the virtuosic possibilities of the excellent singers he had at his disposal. Different from the central European repertory, the structure of the musical Mass in the Italian, Brazilian and Portuguese 18th-century tradition was just the Kyrie and Gloria divided into several parts including both solo and choral movements. The other three parts of the ordinary Mass (Credo, Sanctus, and Agnus Dei) could be in plainchant or composed as another musical piece. The Credo em Si bemol C.P.M. 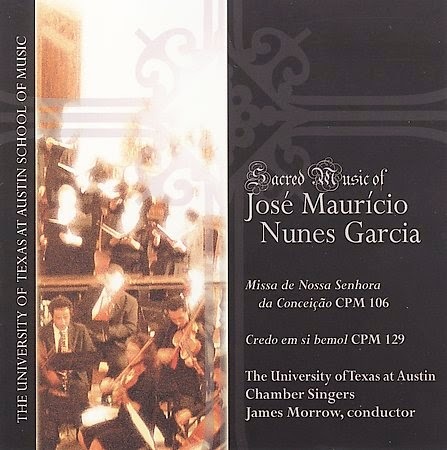 129 (Credo in B flat major), not dated and much shorter than the Kyrie and Gloria, was chosen for this recording because it is the only one of Nunes Garcia's works to feature the same orchestration and key relation as the Missa da Conceição. It is interesting that while in our edition the Kyrie and Gloria are 346 pages, the Credo (including Credo, Sanctus, and Agnus dei) is no more than 40."